In this White Paper, David Klaasen, one of GetSmarter’s Lead Learning Designers, uncovers the complexities behind educational storytelling for an online platform and shares the challenges and understandings that result from the world creation process. 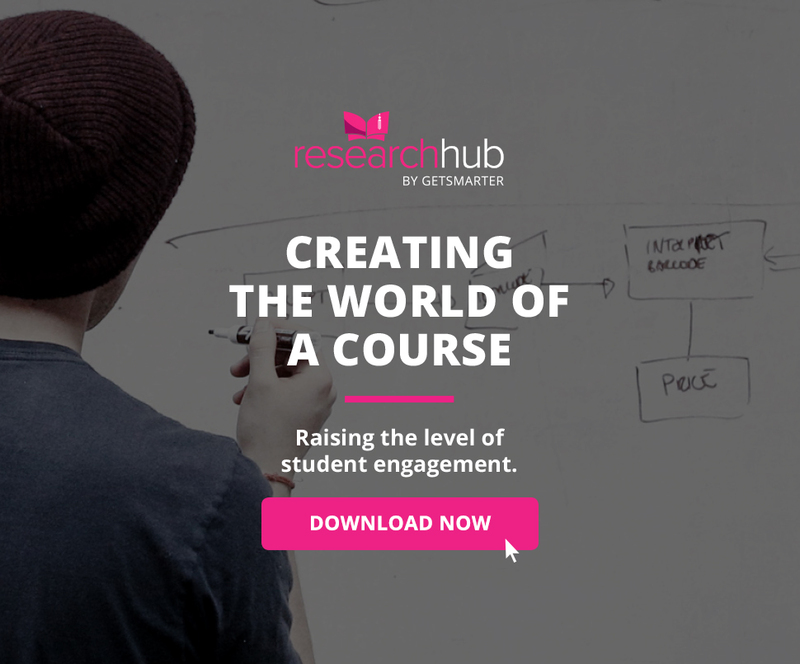 Armed with a comprehensive learning design plan, David explains how creative problem solving is used to immerse a student in the world of an online short course and encourage eager engagement to achieve desired learning outcomes. Through the use of consistent strategy towards educational programming and course objectives, the experience of creation is showcased by two, very different courses in GetSmarter’s portfolio, the University of Cape Town Compliance Management online short course and the University of the Witwatersrand Teaching with Technology online short course.